Right now at RV Value Mart, we have a huge selection of RVs under $200 per month! Don’t miss this fantastic opportunity to cash in on massive savings for all your favorite brands. 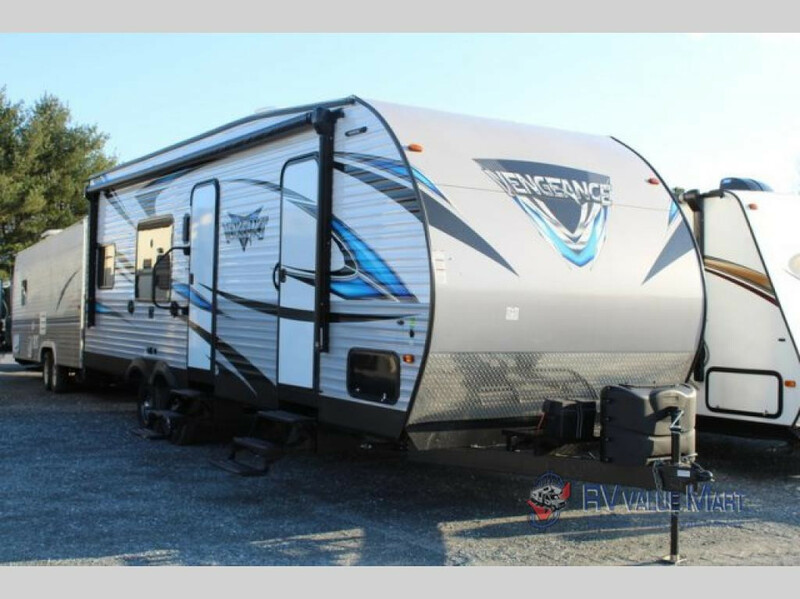 We’re proud to offer Viking, Radiance Ultra-Lite, and Vengeance Rogue travel trailers for sale, along with many more! Don’t miss out on the savings you deserve! 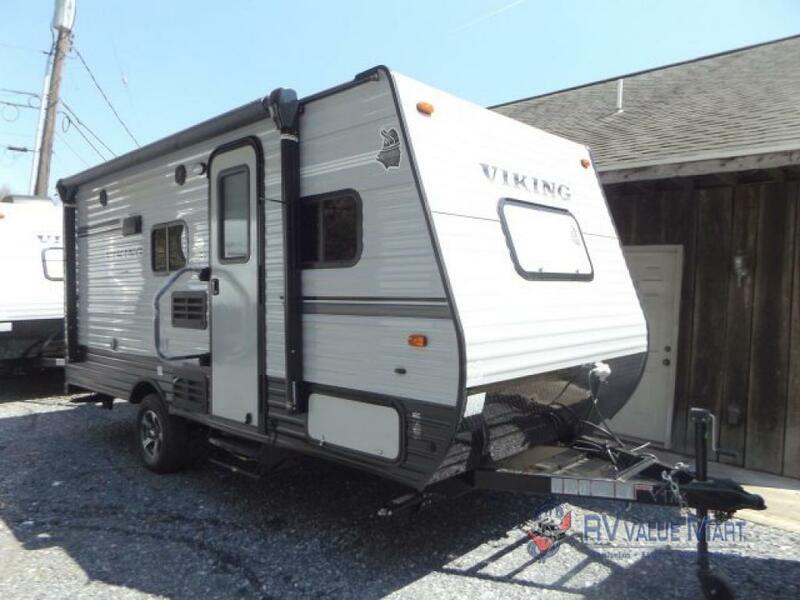 First on our list of favorites is the Coachmen Viking travel trailer! This ultra-lite option allows the whole family to travel in comfort! Inside, you’ll find sleeping for five with the bunk beds, double master bed, and folding booth dinette. This model also comes equipped with a private bath including a tub, and enough pantry space for everyone’s favorite snacks. Not to mention, at just $99 a month, you can relax and enjoy the savings! Perfect for a family of five! Are you looking for something a bit more luxurious? Check out this Cruiser Radiance Ultra-Lite travel trailer! This beautiful trailer sleeps nine campers and features both a private bunkhouse with triple bunks and a private master with a king-sized bed! The main living area has a giant slide, so no one will feel crowded if the weather drives you indoors for a day. On the other hand, if the sun is shining, there’s an outdoor kitchen, perfect for cooking up a feast for the crew without missing a moment of the sunshine! If one kitchen just isn’t enough, step outside and enjoy the outdoor amenities! Finally, we have the Forest River Vengeance Rogue toy hauler travel trailer. The Vengeance Rogue is perfect for anyone who is hungry for adventure! It has 6’3″ of roadside storage and 15’3″ of cargo space for all your toys! In the evening, you can kick back and relax in the massive king-sized bed, or sit under the 21′ power awning and enjoy the night air. 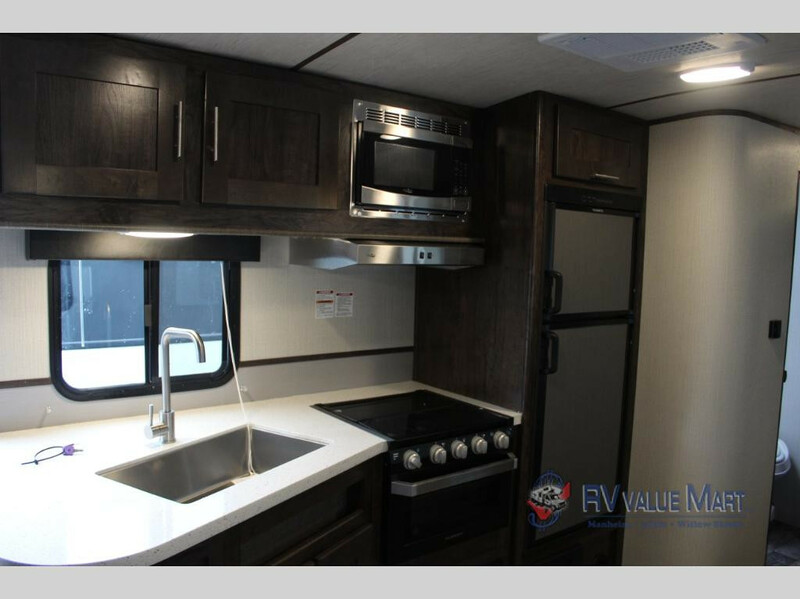 So what are you waiting for, this toy hauler is only $162 a month, but at prices that low it won’t be here for long! Take home the perfect RV today and start living life to the fullest! Contact us for more information, or shop more RVs under $200 per month!